When it comes to dental health, there are two different professionals you can visit for different procedures. A dentist and a dental hygienist both care for your dental health, but which one should you see? Are there circumstances where you should see one over the other? Every dentist has a support team and their right hand person is their dental hygienist, who performs a range of roles designed to assist the dentist and the patient. While the dentist will perform the dental procedures, the dental hygienist might talk to you about how to better care for your teeth. The hygienist will also likely clean your teeth and check for gingivitis or oral disease. The dentist’s role is to diagnose problems, examine x-rays, conduct repair procedures like fillings, crowns and removals, as well as prescribe any medicine that might be required. A dental hygienist can conduct basic procedures like tartar, stains, and plaque removal, the application of sealants and fluorides and take x-rays for analysis by the dentist. If you’re still a little unsure, you can consult the Dental Board of Australia. How do their qualifications differ? Dentists are like doctors and have undertaken significantly more education than a dental hygienist. In Australia, there are three pathways to becoming a registered dentist. Students accepted into Dental School either do a five-year undergraduate degree, or a three-year undergraduate and a two-year postgraduate course for a total of five years education. The other path is a three-year university degree in Dentistry, followed by a four-year postgraduate degree at Dental School. This total process takes seven years. Dental hygienists have a VET qualification in oral health (dental hygiene) or a degree in oral health (or oral health therapy) approved by the Dental Board of Australia. These processes generally take between two to three years. 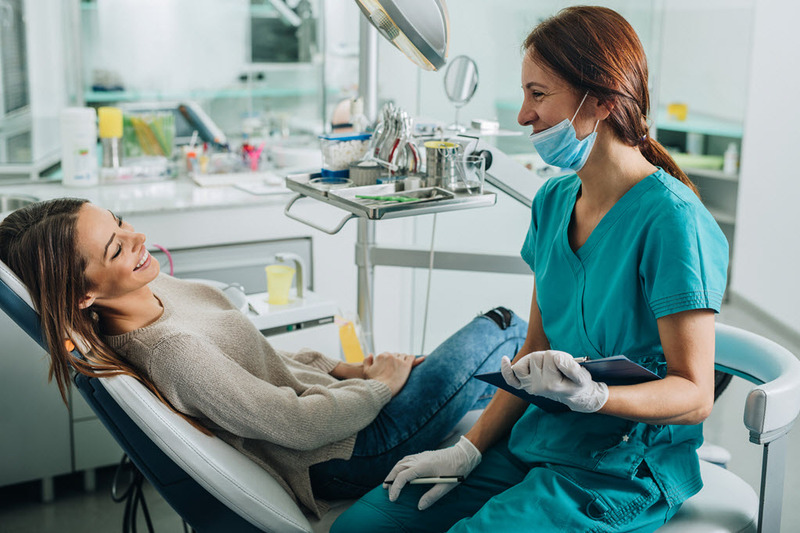 While a hygienist will earn less than a dentist, a dental practice may still charge the same fee for some services, regardless of whether they are performed by the hygienist or dentist. When should I see a dentist and when should I see a dental hygienist? Traditionally, the two operate as a team in the same practice but with different roles. In fact, a hygienist may only work within a structured professional relationship with a dentist. You can elect to visit a dental hygienist for your preventive scale and clean, but you’ll need to see the dentist for more complex procedures or for the treatment of dental injuries.